​Will new standards on sustainable palm oil create an elite product? ​One of the better known certification bodies for sustainability in palm oil, the Roundtable on Sustainable Palm Oil or RSPO as its popularly known, has approved a new set of standards for its members. Reaction to this news has been positive as headlines of “sweeping changes” and “transformative standards” have been used to share the news. Set against the backdrop of its certified supplies coming from peat clearing in West Kalimantan and allegations of members sending orangutans to the brink of extinction, it was perhaps news that was needed to shore up the certification body but will this new set of standards create wall to wall standards in offices or actually produce sustainable palm oil? As reported by the environmental news portal Mongabay, the new standards prohibit planting oil palm on any type of forest including secondary forests. The same report by Mongabay goes at length to question the lack of enforcement and the “cautious optimism” that has been recorded. Industry monitor, Foresthints, issued a challenge to the RSPO by naming an RSPO member which is actively violating the Principles and Criteria, even in its older version. 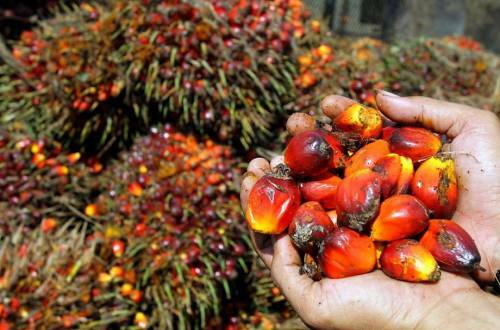 Certified Sustainable Palm Oil or merely certified palm oil? With these new standards, the RSPO looks like it is pandering to the demands of rich consumers in developed countries. It would make the use of the term “sustainable palm oil” paradoxical because it is correct at the same time as it contradicts how others in developing countries see sustainability in palm oil. A less conflicting term would be “certified palm oil” but with its decade long commitment to promoting “sustainable palm oil” the RSPO has no choice but to try and prove that it is sustainable and not merely certified. The Indonesian province of Papua which is at once the last remaining forested region and the least developed province will be a litmus test of whether RSPO certified palm oil is “sustainable” or whether the simpler claim of “certified palm oil” is more appropriate of what it does. How the RSPO responds to deforestation in Papua will be a clear signal to African countries looking to sustain themselves through self sufficiency and self generated development funds through palm oil.